If you haven’t been under a rock the last nine years, you’re familiar with country darling turned mega pop star, Taylor Swift. She’s a musical maven, style icon, and all around sweet person. Not only is she the leader of a model clad female friend group that everyone (me included) would love to be in, she also writes thank you notes, helps fans in need, and cares about the little guys in the music industry. 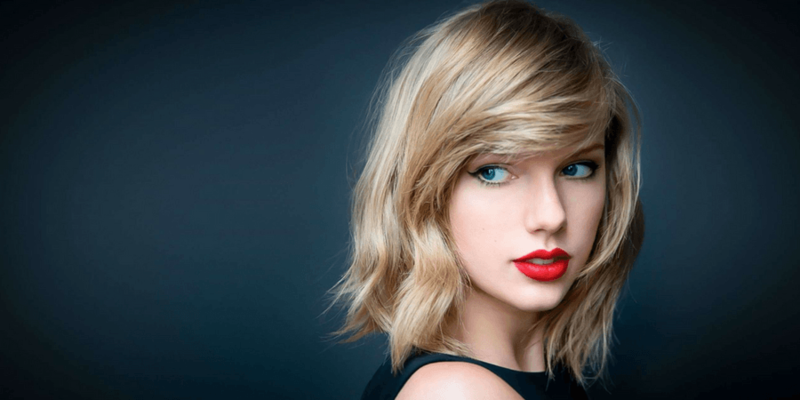 Taylor has had a well-known beef with Spotify concerning the companies royalty payments to musicians, songwriters, producers, etc. Recently, Apple announced the launch of its new streaming service, Apple Music. The new platform would offer a three-month free trial during which it wouldn’t pay royalties to the artist, producers, and writers of the songs. That is something Taylor wouldn’t stand for. 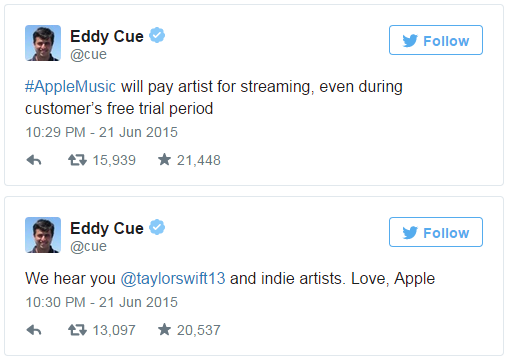 She explained in a Tumblr post why she was pulling her music from Apple Music. Less than 24 hours after her post, Apple announced that it would pay royalties during this trial period and specifically called out Taylor as part of this decision. The greatest part of her fame is the good she uses it for. It is very admirable that she spoke out against a policy she found unjust. The three months she wouldn’t get royalties wouldn’t make a dent in her overall portfolio but to new and emerging artist it could mean the difference in making rent or investing further in their careers. In an article for Mashable, Samantha Cooney applauds Taylor’s skill as a businesswoman, independent streak, and commitment her brand. From a social media perspective, Taylor is a genius. Her release of Bad Blood promo posters on Instagram built up the hype for her Bad Blood music video in a way we’ve never seen before. She is never afraid to stand up for herself and others. THAT is the real power of Taylor Swift, the amazing woman we all know and love.